The city of Atwater has great neighborly living. There are city parks with playgrounds, picnic areas, fishing, hiking, basketball courts, sand volleyball, baseball, softball and Little League fields. There also are Youth Summer Recreation programs. Atwater has senior living apartments and one assisted-living home. 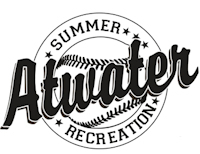 The Atwater Community Center is also available to the community for weddings, reunions and other group gatherings. The local library has a large variety of books, Internet access and network with regional resources. Atwater community is host to ACGC Elementary School which is home to preschool - 6th grade students. The children receive weekly instruction from music, phy. ed., art and media teachers along with their regular classroom instruction. For more information about ACGC Elementary School call 320-974-8841. The 3rd weekend in June is the annual “Atwater Days.” The 2nd weekend in September is the annual Threshing Show. For more information about ACGC Community Education Programs call the Community Education Office at 320-857-2651. The ACGC Website is http://acgc.k12.mn.us .